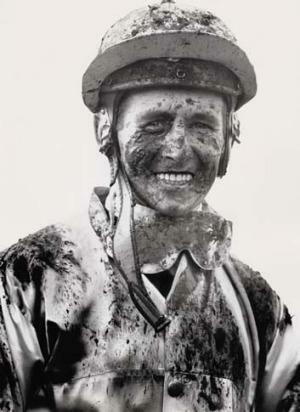 Pat Hyland - The jockey called "Irish"
Pat Hyland - The Jockey they called "Irish"
uble that day. On day three, Thursday, he won the WFA C M Lloyd on Samson and rode a treble. On day four, Saturday, he won the Queen Elizabeth WFA 12f on Grand Print. So he basically scooped all the majors over the week - day 3 had the 2yo Ascot Vale stakes as a co feature to the Lloyd. In 1965, he was runner up in the St Leger, protested unsuccessfully. On day two, he won the Aust Cup on Craftsman and rode a double. On day 3, he won the 2yo Ascot Vale stakes on Star Affair. On day four, he won the Queen Eliz on Craftsman. In 1966, he was second on Craftsman in the Wfa 10f Queens Plate. On day 2, he won the Australian Cup on Craftsman. There was no meeting on the thursday, so day 3 was Saturday, where he won the Queen Eliz on Craftsman and the Kewney on Dual Quest. One of 9 jockeys to have ridden all 4 of the VRC Majors (DERBY, CUP, OAKS, EMIRATES) since the latter was first run on the Final Day in 1960. Rode a total 29 winners over the 4 days of the VRC Carnival.